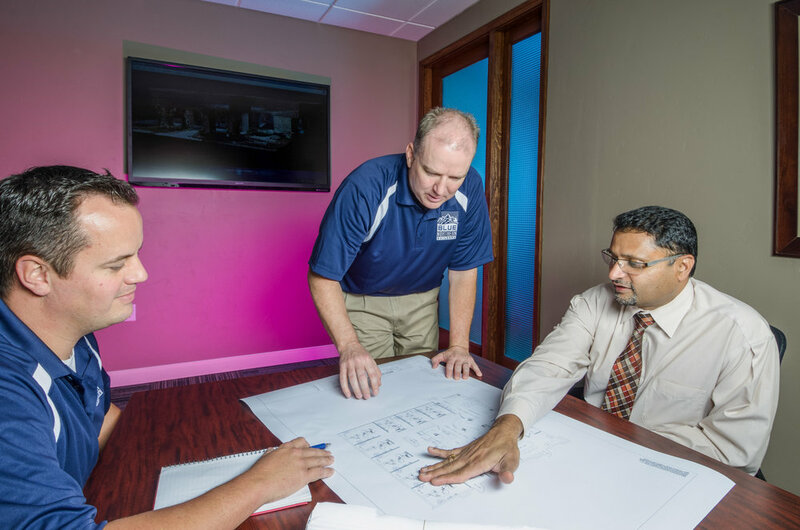 Every product, project or service start at the corporate level with the engineers, estimators, project managers and the creative minds that come together before any tool is ever picked up. This is an interracial part of every company and needs to be an interracial part of your marketing. Showing the people and processes that make up your company does more than build trust, it adds value. Your clients can see how many people it takes and the process that it in tales to create their project. There is nothing worse than seeing an image of a conference room table, with no one at it. What is that saying about your company? Your company is a company of people, all playing a part in your day to day operations. From bio images to call centers to your employees in the field, we do it all. Why pay for stock photography when you can have images of your company, not someone else's? Lets face it, stock photography looks like stock photography. Showing your employees from the receptionist answering the phone to the minds behind the companies vision reinforces your brand and the services or products you provide.